This how-to describes my simple solution for having a redundant internet connection from my home network. It may be overkill for most people, but we Overclockers tend to have a knack for overdoing things. 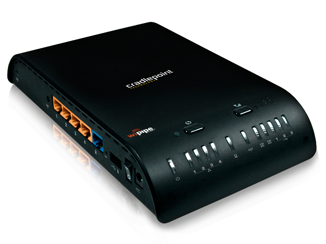 As the core of my home solution, the CradlePoint MBR1200 router supports 2 ethernet WAN ports as well as up to 5 different 3G/4G connections – 3 USB, 1 Express Card, and 1 PC Card. 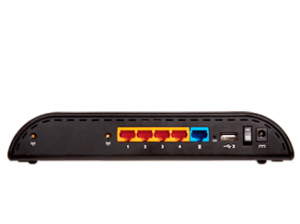 The router also includes four 100/1000 ethernet ports (port 4 can be used as a 2nd WAN port for those with 2 Cable Modem/DSL lines). Wireless is the standard 802.11 B/G/N and I have been pretty impressed with the range so far. Setting up load balancing/failover was a breeze. To get started following these steps, have the router setup on your LAN with your primary cable/DSL connection setup and working. Connect your USB 3G/4G modem to any USB Port on the router. Login to the router management page and head to the “Advanced >> Failover/Load Balancing” tab. The page is pictured below. Select “Enable” and “Enable Failback”. This will ensure the router fails back to your primary ISP when it comes back online. Note in the picture that the ethernet connection is green reporting “Established”, while the 4G connection is blue indicating “Ready”. To test your connection you can either unplug your primary ISP modem or cause a failover by disabling the primary interface on the same page. In this test I ran “ping yahoo.com -t” at the command prompt. The first set of low latency pings is my primary ISP Time Warner Wide Band 50Mbps down/5Mbps up. The single timeout was after I failed over to my Verizon Wireless 4G. As you can see the outage was very short. 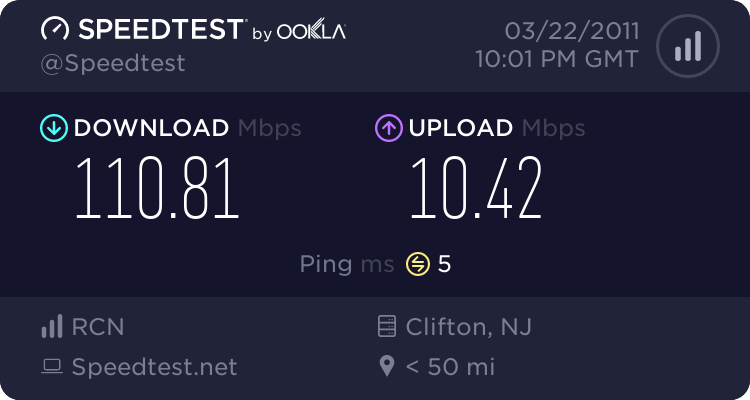 Lastly, I performed some speed tests to demonstrate the seamless nature of this failover using both my Time Warner primary connection and the Verizon 4G backup connection. Latency as indicated by the ping tests slowed modestly, while the 4G speeds were considerably slower yet very acceptable. 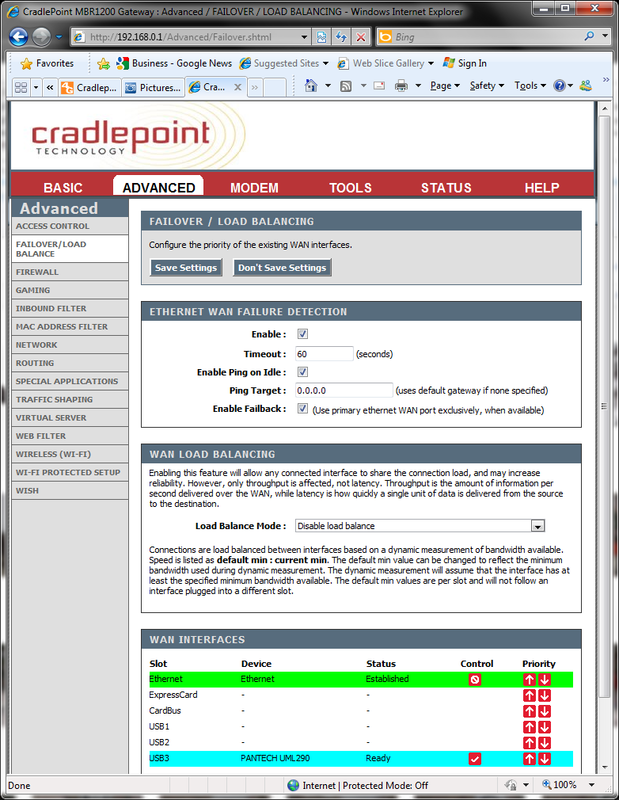 The MBR1200 also supports Tethering with many phones, and CradlePoint offers a list of supported devices. With a MSRP of $299 while available for purchase as low as $239.99 through Buy.com, this is one great device if you have a need for simple 24/7 network availability. For the DIY crowd amongst us looking to get more from their inexpensive dd-wrt enabled devices, you may be more interested in the Dual WAN with Failover guides in the dd-wrt.com wiki – they offer similar functionality requiring only slightly higher technical knowledge to implement. Do you have your own Failover/Load Balancing setup at home? Let us know how you did it in the comments below. Very nice article! 'Bout time us networking geeks get on the front page. I liked it too Brian. I will be dabbling in small business routers that are a couple years old here soon for CCNA/CCNP lab time and can review those if you feel that the community wants to read about them? I was under the impression that reviews were only relevant if they were of newer tech. Not really. It comes down to what is useful and/or interesting. I did an article on a Dell Perc 5/i RAID controller, which is ancient in computer years. I was also going to do an article on my Gateway 2000 NS-9000 server, which is even more ancient. Good articles are good articles. I was actually hoping the thread asking about this would turn into an article; and it did. It is good to know these work as well as they advertise. I couldn't find any dual coaxil input modems so you probably have to buy two modems that go into a load-balancing capable router. It doesn't really matter that there's two ISP's as long as you know which IP to point the static route to on each WAN interface. As far as only sending certain data out over a certain interface you would have to set up some access lists outbound on your WAN interfaces allowing/disallowing the port numbers that the data you want to segregate run on. That just takes a router that can handle it, and a little big of networking gusto. Is that a proprietary DD-WRT IOS or is that some other language? The stuff inside that link? It's linux shell commands, nothing proprietary there. :) Could call it bash scripting maybe, though I'm not sure if dd-wrt uses the bash shell or something else. Got it. I just got through my first UNIX class and it looked sort of like the UNIX shell command language, but there seemed to be a lot I had not learned yet in there. Sounds like you need to add a few more and switch to 10 Gig cables/ports. I mean this in the most friendly, nicest way possible. I hate you for that upload speed. lol dude you're going to have a medium-sized business's data center in your house soon enough if you keep going at this rate! Nah, no CISCO gear (yet), and my Gig switch is only a "quasi" smart switch. Including the CPU en route? I'll be at 4,4,4,4,3,2,2,2+2,1+1,1(30) cores(give or take a few). And well over 20tb of storage. I think I need counseling, is there an AA for geeks? Im assuming that you did this for a business? Otherwise, how did you manage to get your ISP to provision for 2 different modems(not the 3/4G)? Did you use different ISPs? 2 different isp's twc and rcn. Router does dynamic round robin load balancing based on max bandwidth and available. Example start and FTP an it uses 10mb per sec when you open a 2nd connection it will use the 2nd modem etc. Works great.